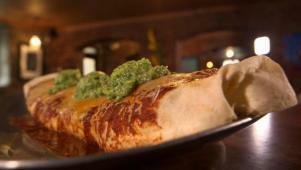 Round out your Mexican food repertoire with our best burrito recipes from Food Network. 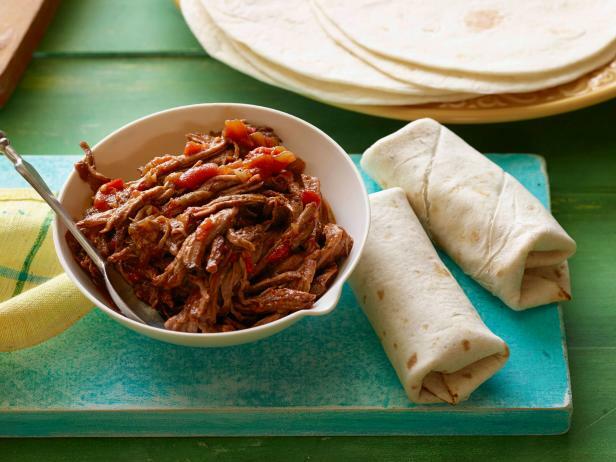 In this rolled-up classic, marinated skirt steak gets slow-simmered until tender, then stuffed into warm tortillas. 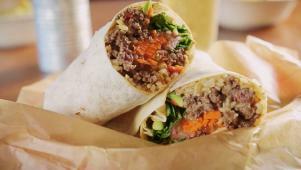 A Santa Rosa restaurant serves this burrito with homemade Korean BBQ sauce. 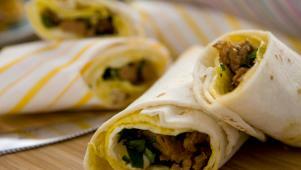 Bobby Flay makes a delicious omelet perfect for eating on the go. Start your day right with a delicious and fast paleo-friendly meal. Try one of these four simple paleo-friendly recipes, all of which take 30 minutes or less to prepare. Load up on protein with a steak and egg salad meal. A pumpkin waffle recipe substitutes coconut flour for all-purpose flour. Strips of prosciutto serve as a container for prosciutto egg cups. 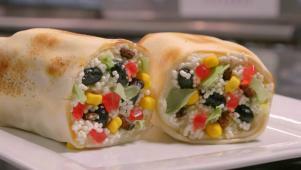 Egg, red pepper, avocado, salsa and bacon are wrapped in collard leaves in a paleo breakfast burrito recipe. 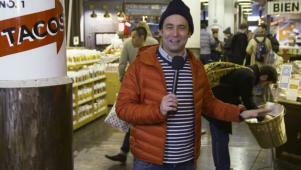 New Yorkers try to guess where certain foods originated. 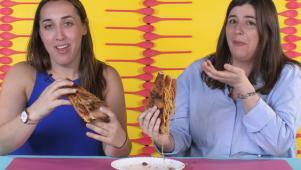 Learn how to roll the perfect burrito with this foolproof method. Josh digs into an enormous burrito at Baja Bean Co. in Richmond, Virginia.